Home Arts & Games News trending Technology In 2016, "Indian gaming industry" reached global top 5!!! In 2016, "Indian gaming industry" reached global top 5!!! ‘I would call it a monumental year for the Indian gaming industry’ Pokémon GO, which was released in the US, Australia, and New Zealand in July this year, became an overnight sensation and created history in the gaming industry. Users worldwide were downloading unofficial versions of the game given its popularity. It became the biggest mobile game in the US history, overtaking Twitter as well as Facebook in terms of daily users. According to a report by SimilarWeb, within a week, India ranked fourth in terms of downloads of the games from the file hosting website APKMirror. “Not just for one game, the overall download number increased sharply this year. The rise of smartphones, the introduction of 4G network, more game production, and some funding, I would call it a monumental year for the Indian gaming industry,” says Badri Sanjeevi, CEO and Co-founder of Mauj Mobile, a mobile content and commerce company, which helps developers expand and monetise through various channels. The company operates Mobango, a gaming store, and Gamesbond, a game marketplace. He adds that this year, there has also been an increase in the number of Indian developers publishing games on various platforms. “The Pokémon Go phenomenon has been able to disrupt the gaming industry to a large extent,” Ankit Rawal, VP-Revenue at Greedy gamer. It is a platform for content creators to monetise their content through advertising without disrupting the experience of the users. He adds that when India was taken over by this gaming sensation, various stakeholders — from users to game developers to brands — stopped and took notice of it. It impacted the perception of people towards the gaming industry. According to Ankit, earlier, brands lacked interest in using games as a platform for promotion. Now, he sees a sharp contrast in their thinking and the way they look at gaming industry as a potential medium for ads. Traditional brands like Dettol, ITC, Gems, and many others are using the platform like Greedy Game to show native in-game ads. India: top five gaming market According to App Annie-NASSCOM report, globally, games have been the key driver of mobile app growth. In 2016, India joined the world leaders in the gaming industry. In Q2 2016, India ranked fifth globally by game downloads. According to the report, it is expected to surpass both Russia and Brazil in the coming years. Experts say that increasing adoption of smartphones has enabled mobile gaming to leapfrog in a big way and India is well positioned to be the next major gaming market. They say that the lower-tier Indian cities also have a large contribution in the rising market. According to the report, between Q2 2014 and Q2 2016, game downloads in India more than doubled, with Google Play generating 13 times more downloads compared to iOS. In Q2 2016, over 300 million games were downloaded on iOS and Google Play combined in India. “The volume growth is a positive step towards the development of the Indian gaming industry. I am very bullish about the growth in the Indian mobile gaming industry. With the expansion of smartphones in the country, the number of downloads will further rise,” says Deepak Ail, Co-Founder and CEO of Roosh Interactive, who has been in the gaming industry for the past 18 years. He, however, adds that the monetisation is the challenge that needs to be addressed. Challenges faced According to experts, funding, and monetisation process are the two biggest challenges for the industry. Experts say that the Indian gaming industry needs a lot of funding to compete with international players. The dearth of funding, quality of products coming out of studios get affected. The large production of casual gaming and their replicas speaks volume about the quality of game production in the country. Games which fail to capture the imagination of people can’t hold users for long. “I think there should be some success stories to capture the attention of investors. Indiagames was one such success story. In 2011, the Walt Disney Company acquired all the equity in UTV’s Indiagames for an estimated $80-100 million,” says Deepak. The other biggest challenge Indian gaming industry faces is in the monetisation aspect. There’s no easy way to pay for games. He adds that the telecom players will prove a great help for the gaming industry, which will substantially ease the process of payment where users can pay any amount without any hassle. According to Badri, though it’s a volume growth story in India, revenue growth has been gradually growing in India. The Indian gaming industry is worth $200 million. Of it, around $70 million are real money gaming and the remaining $130 million is casual gaming. There are four ways to monetise a game — in-app purchasing, in-app advertising, incentive advertising, and subscription service. In-app purchases are purchases made from within a mobile application. In-app ads are displayed within a mobile app, such as banners at the top or bottom of Angry Birds. Incentive advertising is when a user has to engage with an advertisement to receive something of value. The subscription business model is a business model where a customer must pay a subscription price to have access to the product/service. “Gaming industry is a tough industry. It demands a lot of investments, but return on investment is very weak and tough to make. We are trying to increase monetisation through many distribution partnerships,” says Badri. According to App Annie-NASSCOM, game revenue is expected to grow at a CAGR of 87 percent to reach as high as $1.1 billion by 2020. Market growth The report projects app store downloads for all games — foreign and domestic — in India to more than double to 1.6 billion in 2016, and reach 5.3 billion by 2020. Experts say that India presents a ripe opportunity for local and foreign mobile game publishers and investors, as it is poised for stellar growth in the coming years. They also say that the growth in the Indian mobile gaming market will be catalysed by rising adoption of more powerful smartphones, as well as universal implementation of direct carrier billing. Pokémon GO, which was released in the US, Australia, and New Zealand in July this year, became an overnight sensation and created history in the gaming industry. Users worldwide were downloading unofficial versions of the game given its popularity. It became the biggest mobile game in the US history, overtaking Twitter as well as Facebook in terms of daily users. According to a report by SimilarWeb, within a week, India ranked fourth in terms of downloads of the games from the file hosting website APKMirror. “Not just for one game, the overall download number increased sharply this year. The rise of smartphones, the introduction of 4G network, more game production, and some funding, I would call it a monumental year for the Indian gaming industry,” says Badri Sanjeevi, CEO and Co-founder of Mauj Mobile, a mobile content and commerce company, which helps developers expand and monetise through various channels. The company operates Mobango, a gaming store, and Gamesbond, a game marketplace. He adds that this year, there has also been an increase in the number of Indian developers publishing games on various platforms. 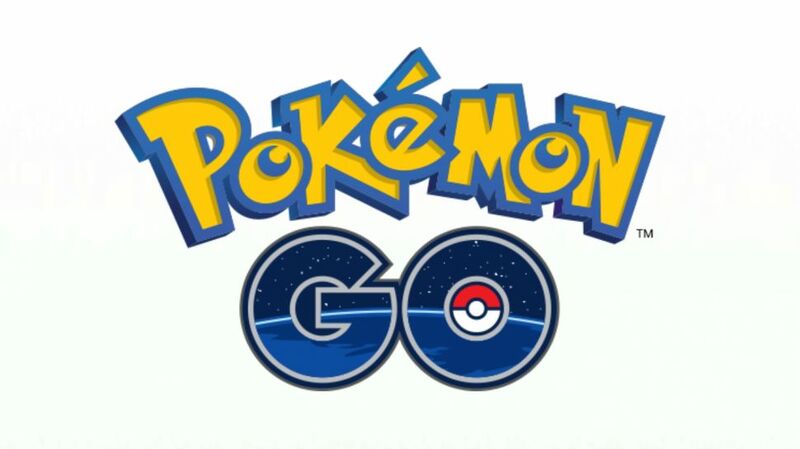 “The Pokémon Go phenomenon has been able to disrupt the gaming industry to a large extent,” Ankit Rawal, VP-Revenue at Greedy gamer. It is a platform for content creators to monetise their content through advertising without disrupting the experience of the users. He adds that when India was taken over by this gaming sensation, various stakeholders — from users to game developers to brands — stopped and took notice of it. It impacted the perception of people towards the gaming industry. According to Ankit, earlier, brands lacked interest in using games as a platform for promotion. Now, he sees a sharp contrast in their thinking and the way they look at gaming industry as a potential medium for ads. Traditional brands like Dettol, ITC, Gems, and many others are using the platform like Greedy Game to show native in-game ads. According to App Annie-NASSCOM report, globally, games have been the key driver of mobile app growth. In 2016, India joined the world leaders in the gaming industry. In Q2 2016, India ranked fifth globally by game downloads. According to the report, it is expected to surpass both Russia and Brazil in the coming years. Experts say that increasing adoption of smartphones has enabled mobile gaming to leapfrog in a big way and India is well positioned to be the next major gaming market. They say that the lower-tier Indian cities also have a large contribution in the rising market. According to the report, between Q2 2014 and Q2 2016, game downloads in India more than doubled, with Google Play generating 13 times more downloads compared to iOS. In Q2 2016, over 300 million games were downloaded on iOS and Google Play combined in India. “The volume growth is a positive step towards the development of the Indian gaming industry. 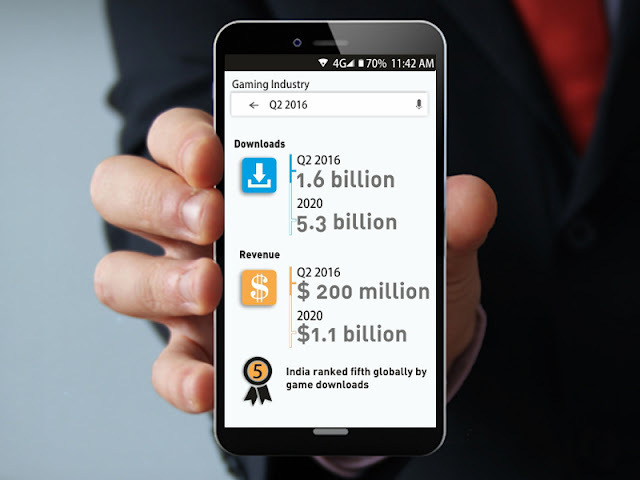 I am very bullish about the growth in the Indian mobile gaming industry. With the expansion of smartphones in the country, the number of downloads will further rise,” says Deepak Ail, Co-Founder and CEO of Roosh Interactive, who has been in the gaming industry for the past 18 years. He, however, adds that the monetisation is the challenge that needs to be addressed. According to experts, funding, and monetisation process are the two biggest challenges for the industry. Experts say that the Indian gaming industry needs a lot of funding to compete with international players. The dearth of funding, quality of products coming out of studios get affected. The large production of casual gaming and their replicas speaks volume about the quality of game production in the country. Games which fail to capture the imagination of people can’t hold users for long. “I think there should be some success stories to capture the attention of investors. Indiagames was one such success story. In 2011, the Walt Disney Company acquired all the equity in UTV’s Indiagames for an estimated $80-100 million,” says Deepak. The other biggest challenge Indian gaming industry faces is in the monetisation aspect. There’s no easy way to pay for games. He adds that the telecom players will prove a great help for the gaming industry, which will substantially ease the process of payment where users can pay any amount without any hassle. According to Badri, though it’s a volume growth story in India, revenue growth has been gradually growing in India. The Indian gaming industry is worth $200 million. Of it, around $70 million are real money gaming and the remaining $130 million is casual gaming. There are four ways to monetise a game — in-app purchasing, in-app advertising, incentive advertising, and subscription service. 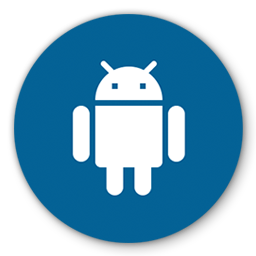 In-app purchases are purchases made from within a mobile application. In-app ads are displayed within a mobile app, such as banners at the top or bottom of Angry Birds. Incentive advertising is when a user has to engage with an advertisement to receive something of value. 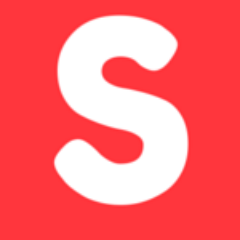 The subscription business model is a business model where a customer must pay a subscription price to have access to the product/service. “Gaming industry is a tough industry. It demands a lot of investments, but return on investment is very weak and tough to make. We are trying to increase monetisation through many distribution partnerships,” says Badri. According to App Annie-NASSCOM, game revenue is expected to grow at a CAGR of 87 percent to reach as high as $1.1 billion by 2020. The report projects app store downloads for all games — foreign and domestic — in India to more than double to 1.6 billion in 2016, and reach 5.3 billion by 2020. Experts say that India presents a ripe opportunity for local and foreign mobile game publishers and investors, as it is poised for stellar growth in the coming years. They also say that the growth in the Indian mobile gaming market will be catalysed by rising adoption of more powerful smartphones, as well as universal implementation of direct carrier billing.